Speaking at a press conference on Saturday morning, Ms Ardern said the Australian man, identified as Brenton Tarrant, suspected of carrying out the terrorist act had used five firearms in the attacks, including two semi-automatic weapons, two shotguns and a lever-action firearm. Before Ms Ardern’s announcement, former New Zealand prime minister Helen Clark told the ABC that while the country had gun control, there was room for improvement. “We do have gun control. People have to be fit and proper persons to have guns. But undoubtedly, the law can be strengthened and improved,” she said. “Personally, I would be surprised if the New Zealand Parliament didn’t accept that challenge head-on to strengthen the law. Ms Ardern said the 28-year-old Australian man charged with murder had based himself in the city of Dunedin prior to the attack. The two others were still being questioned. 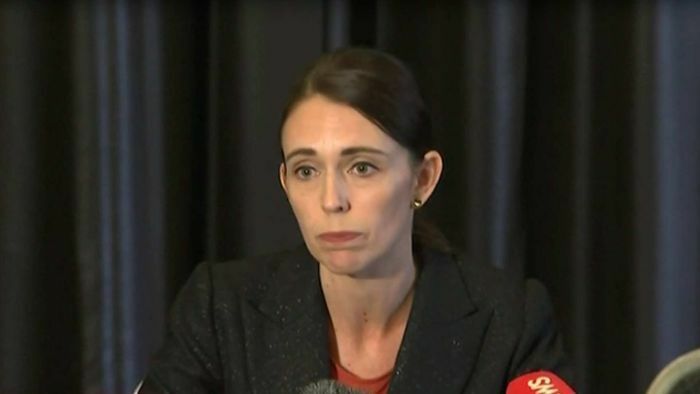 Ms Ardern confirmed two of the 40 people who were being treated for injuries at the Christchurch Hospital were in a critical condition, while a five-year-old child had been transported to Starship Hospital in Auckland. Ms Ardern praised the police officers and emergency services involved in locking down Christchurch schools and offices, swiftly arresting the suspect, treating victims, and the defence specialists for defusing improvised explosive devices. “Many of you may have seen the footage of the arrests, and I can only describe it as an act of bravery on behalf of all New Zealanders, and an act that show very little regard for their own personal safety,” she said. “I also want to acknowledge ambulance staff who many will have seen acting swiftly under horrific conditions, and all medical staff who continue to work with those who are injury.